Your best source for Contact Lenses! Selection: Get the eye doctor recommended lenses based on your lifestyle, vision needs, ocular health, personal health, eye shape and medications. Support: Update & exchange your previous lenses. Life is dynamic and sometimes the contact lenses you buy today are not optimal for tomorrow (such as prescription changes, health reasons or sometimes a new and more appropriate product becomes available). Our patients will always enjoy the peace of mind that they will always be wearing the doctor’s recommended lenses as we will update/exchange your previous lenses. Value: LOW PRICES. We’re so confident in our pricing we’ll match any verified price from any store or online and even throw in a few extra pairs (excl. color contact lenses). What many don’t realize is what a difference getting the right lenses can make in terms of long term health of the eyes as well as personal comfort and vision. There are so many variables to consider in selecting the ‘right’ lens such as Spherical vs Toric, the proper base curve, single vision or multifocal, 1 day vs 2 week vs 1 month replacement lenses, soft vs hard, are silicone hydrogel lenses necessary, the right solution, frequency of wear etc. 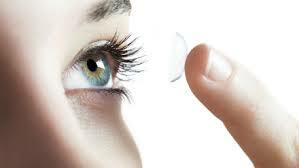 Contact lenses are a prescription device because an improper lens can lead to permanent vision loss. We offer a variety of styles to protect eyes eyes at work while meeting the CSA (Canadian Standards Association ) standard Z94.3-2002. Protective lenses also available with popular options such as transitions, anti-glare, hardcoat and tinting.